In last week’s post I told you about the ins and outs of my diet. Like a lot of you, when I first started the diet I thought that my instructions to eat a veggie at every meal including breakfast was a strange one. 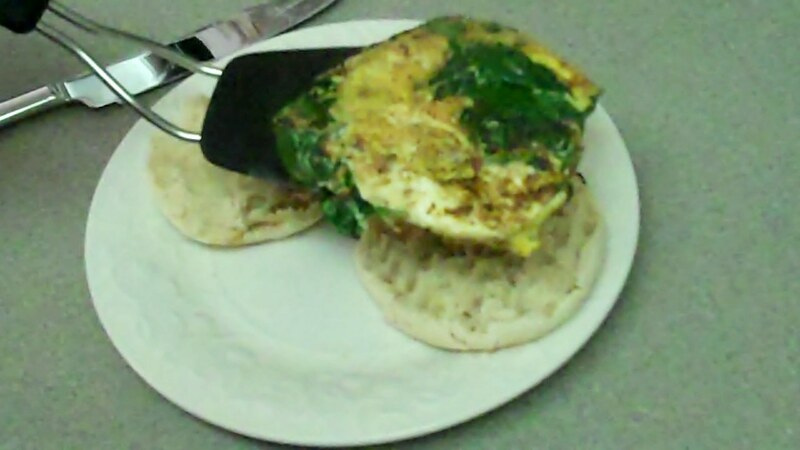 A few days into my diet it dawned on me that people eat spinach and egg quiche for breakfast all the time. 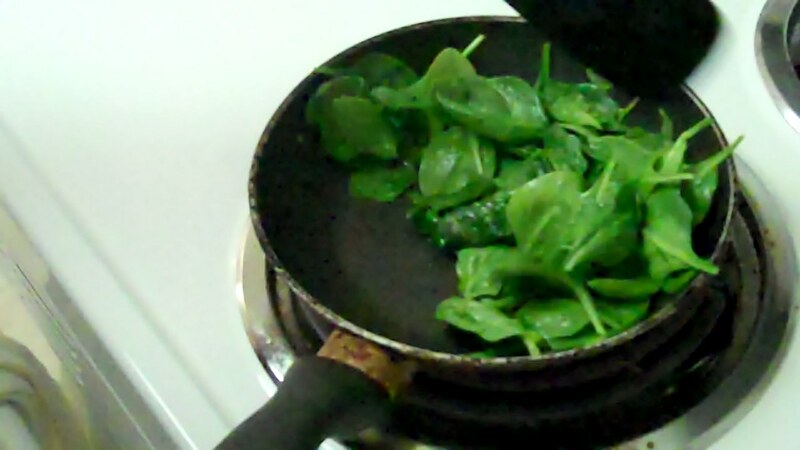 That is when I decided to try adding spinach to my breakfast. 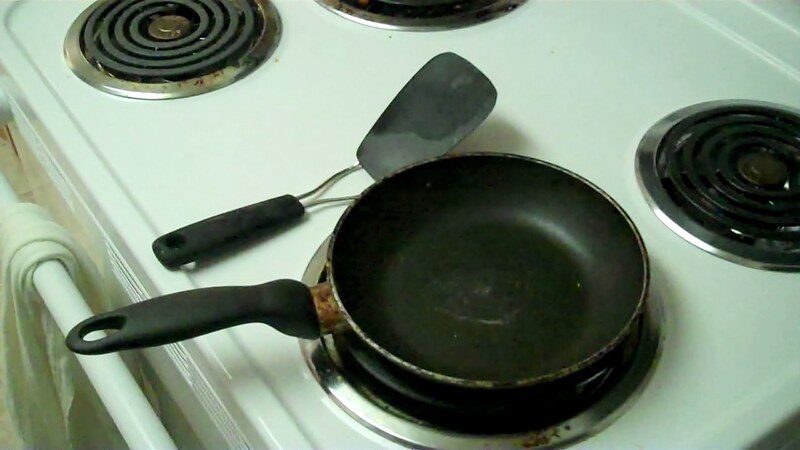 Spray a very light coating of cooking spray in your pan and turn your burner on to medium- medium high heat. 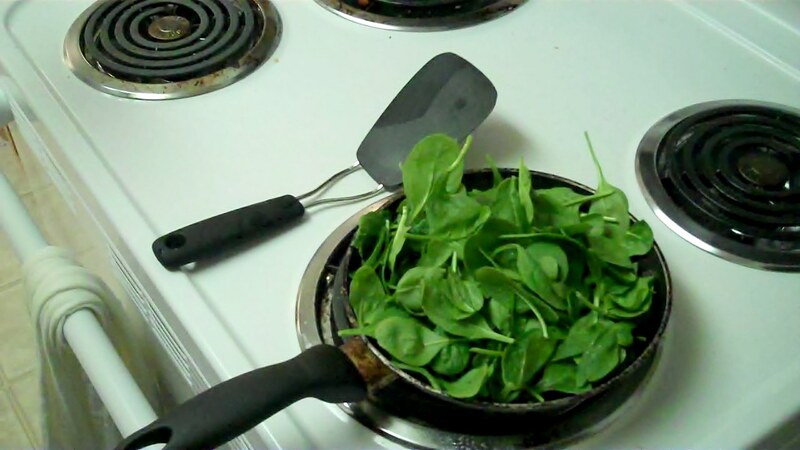 When your spinach looks like this go ahead and put your English muffin in the toaster. 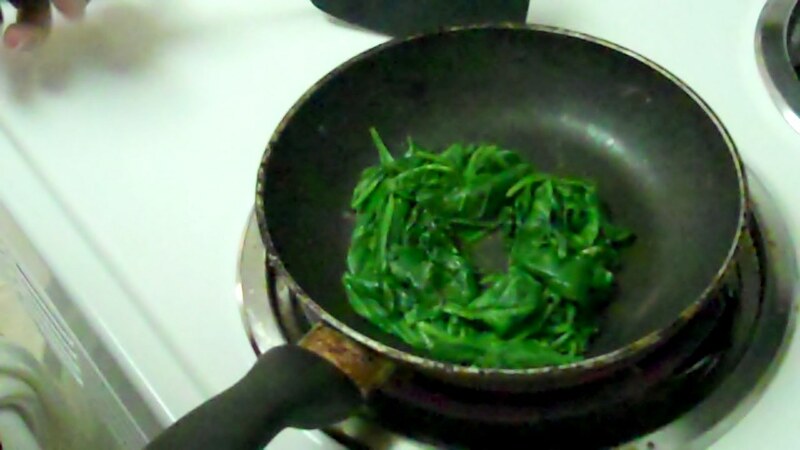 When the Spinach is done cooking shape it into a circle and form a small divot in the middle, as seen above. 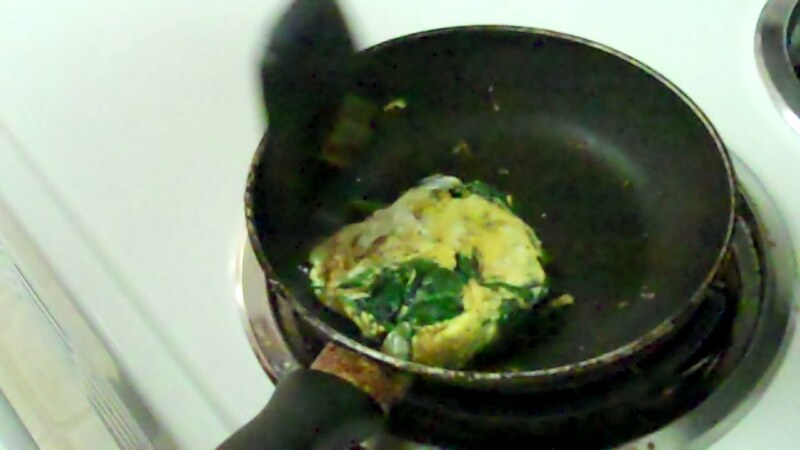 Crack the egg right into the middle and sprinkle a tiny pinch of salt now. Let the egg cook for a few seconds. 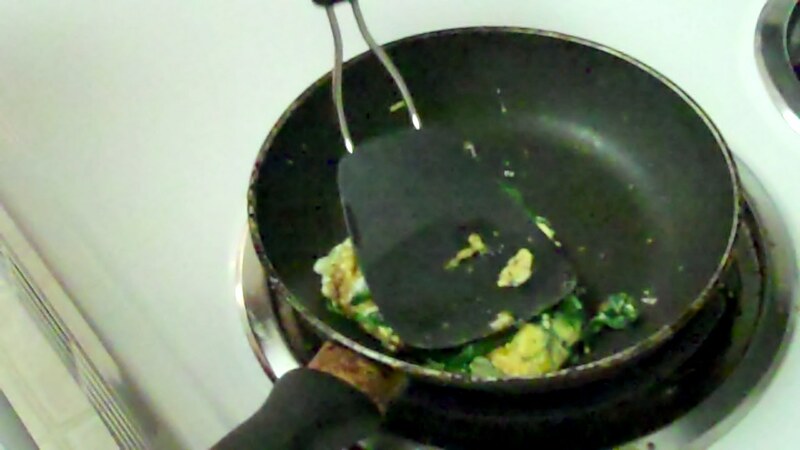 Use your spatula to gently break up the egg yolk. 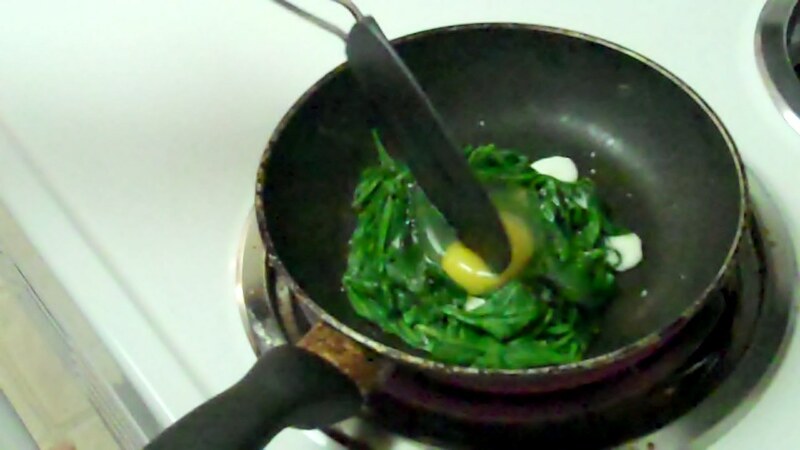 Gently fold and flip the spinach and eggs. Taking care to Shape your patty as you go. 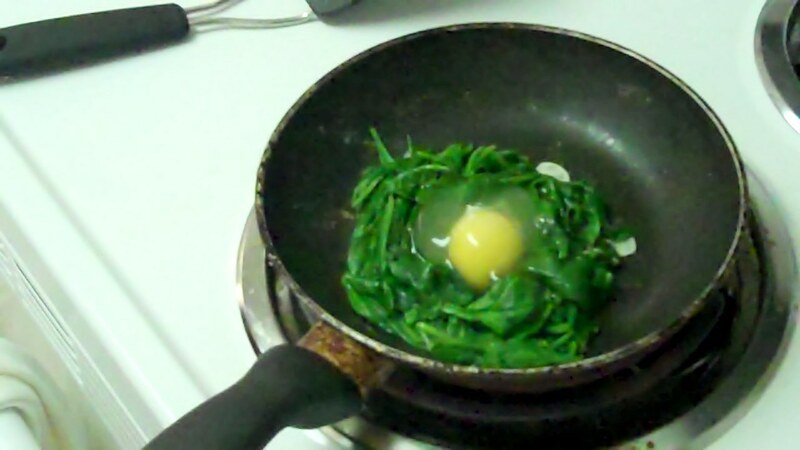 Make sure to mash down on the spinach and eggs as you are forming your patty. This ensures that all of the raw egg gets cooked. 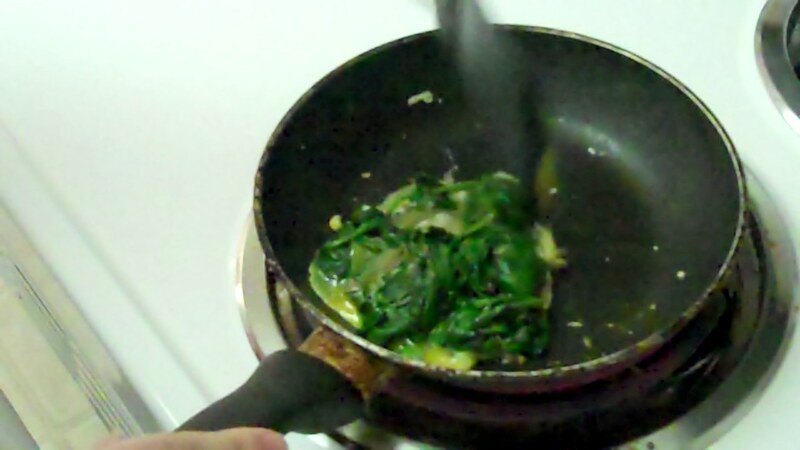 Once the egg is cooked through remove pan from heat. Pull your English muffin from the toaster and lightly butter it. 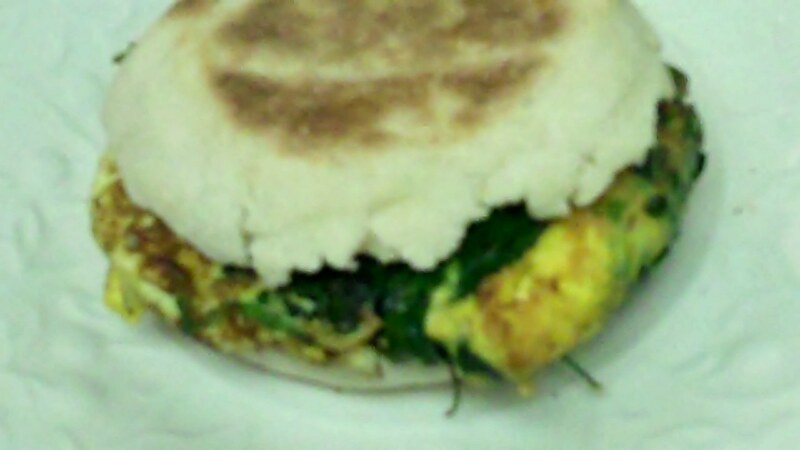 Slide your spinach and egg patty on to the muffin and fold back over. Enjoy! Just make sure that you get a fruit to go with that on the side! Body image issues. I don’t know a single woman who hasn’t struggled with them at least once in their life. For most, it is a chronic poison that seeps into our every thought and action. Why is it that we ladies find it so easy to forget the beauty in the form that God gave us? We are so surrounded by poisonous images that we have almost become numb to their effects. I love the Dove commercial because in a few quick seconds it brings to light how twisted our culture is. The images we are surrounded by have been edited to the point that most of the time the images we see can get so extreme that the images aren’t even possible in a healthy body. To make matters worse, the plague of body image issues and warped senses of reality is getting younger and younger. This past week I was working with the 3rd grade girls that I disciple, and it was uncovered that even they have issues with their bodies. Third grade! It breaks my heart. But those who are surrounded by the eyes of girls beware! It is not just the media that infect our girls. Those young minds look up to you and see you as their example of beauty. They watch us stare into the mirror and find faults with ourselves. They watch us beat ourselves up and convince ourselves we are fat. They take that and reflect that back on themselves. Another danger for them is our diets. Impressionable minds make it even more important to not only eat right but to eat right for the right reasons. In losing weight it is so easy to slip into the weight game. But let me tell you, focusing on the pounds and the dress sizes gets dangerous. If you focus on only on where you need to go next and not the achievement in how far you have come so far, you will lose sight of the positive and it will eat you alive. Before I could successfully go on this diet I had to stop and find the beauty in my body the way it was. I had to come to terms with the fact that I was beautiful the way God made me no matter the size that I am. And while I may be enjoying the fact that I am slimming down, by no means is that my focus for what I am doing. I have been asked so many times what I am doing different. My response, I am not on a diet. I made a lifestyle change to help control the symptoms of my hiatal hernia and my thyroid issues. The weight loss is just a pleasant side effect of the change. The difference is I am focusing on my health. I want to get healthy. I want to put a stop to the nausea and other symptoms that have been making my life unlivable. I am not losing weight to improve my image. I am beautiful the way I am now. For those out there who struggle for one reason or another with the beauty in themselves, I send out a reminder. You are not alone. And for those trying to lose weight, whatever you do, don’t go on a diet. Diets are temporary. Eventually you will go off of it and go back to the habits that caused you to gain the weight in the first place and before you know it you will be back at the starting point. So I challenge you, don’t diet, change your lifestyle! Step up and make a permanent change. And WHATEVER you do, don’t lose weight for the sake of getting skinny or looking better. Lose weight for your health, not beauty because you are beautiful just the way you are!